EPIRB Tester Mini w/ W-Fi is the newest device appointed to check the maritime distress beacons (EPIRBs, PLBs) operating via COSPAS-SARSAT system. This device is really lightweight and is capable to operate via Wi-Fi with any smartphone, tablet or laptop. Its operation complies with SOLAS regulation, IMO 1039 and 1040 Circulars. Check here for Warranty terms and Shipment terms. EPIRB Tester Mini w/ WiFi is third generation device designed to check the maritime emergency position indicating radio beacon (EPIRB) operating via COSPAS-SARSAT system under IMO MSC/Circ.1039, 1040. The EPIRB is subject to annual performance tests and shore-based maintenance at intervals not exceeding five years. The annual testing of 406 MHz satellite EPIRBs is required by SOLAS regulation IV/15.9. The volume of annual beacon testing is described in IMO MSC.1/Circular 1040. MSC/Circ.955 further recommends that annual testing of the EPIRB shall be carried out concurrently with the Annual Safety Radio Survey. Shore-based maintenance volume is described in IMO MSC/Circ.1039. The EPIRB Tester intended to determine that EPIRB is operational as defined in appropriate performance standards - the International Maritime Organization (IMO) Performance Standard (A.810) and IEC standard, IEC 61097-2: COSPAS-SARSAT EPIRB – Satellite emergency position indicating radio beacon operating on 406 MHz – Operational and performance requirements, methods of testing and required test results, and RTCM 11000.3 - Standard for 406 MHz Satellite Emergency Position-Indicating Radiobeacons (EPIRBs), required by U.S. Federal Communications Commission and defines performance requirements for EPIRBs used on U.S.-registered vessels. The testing should be carried out using suitable test equipment, such as EPIRB Tester, capable of performing all the relevant measurements required in above guidelines. All checks of electrical parameters should be performed in the self-test mode, if possible. 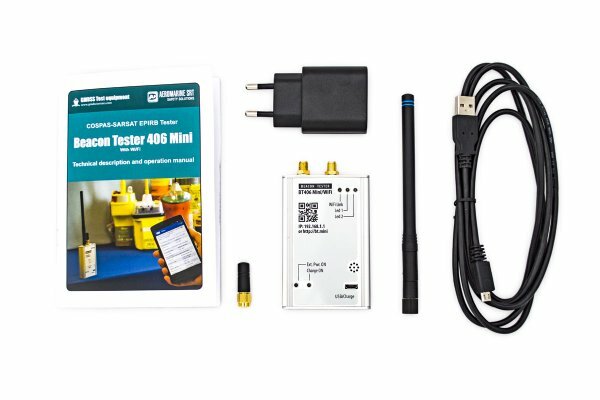 The Tester operates with any smart phone or desktop PC by means of Wi-Fi connection. It can easily be held in one hand while testing and doesn’t require too much place to carry it with you. COSPAS Tester Mini assures receive of messages from any 406MHz COSPAS-SARSAT beacon, transmitting either in test mode or in real alert emergency mode. 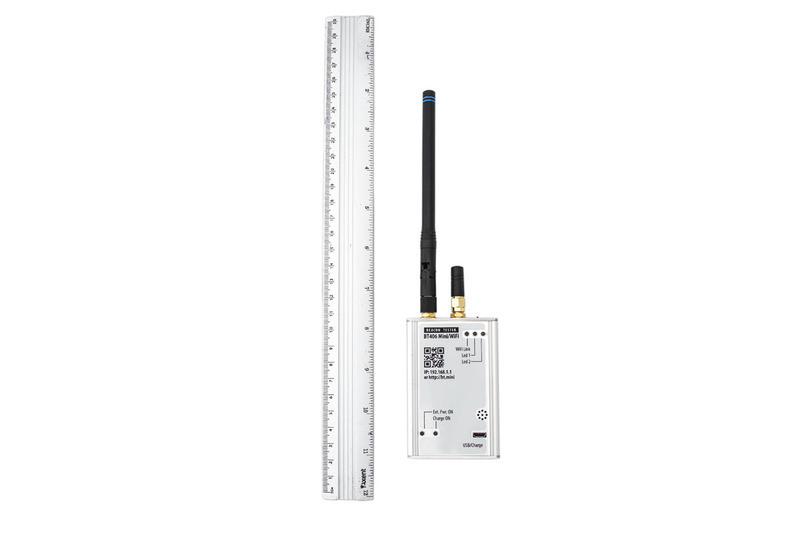 The signal can be received through the broadcast by means of antenna or the Tester can be linked up with a beacon directly by means of cable through a suitable attenuator. Radiated tests in real alert emergency mode should be carried out using screened room (or enclosure) only. 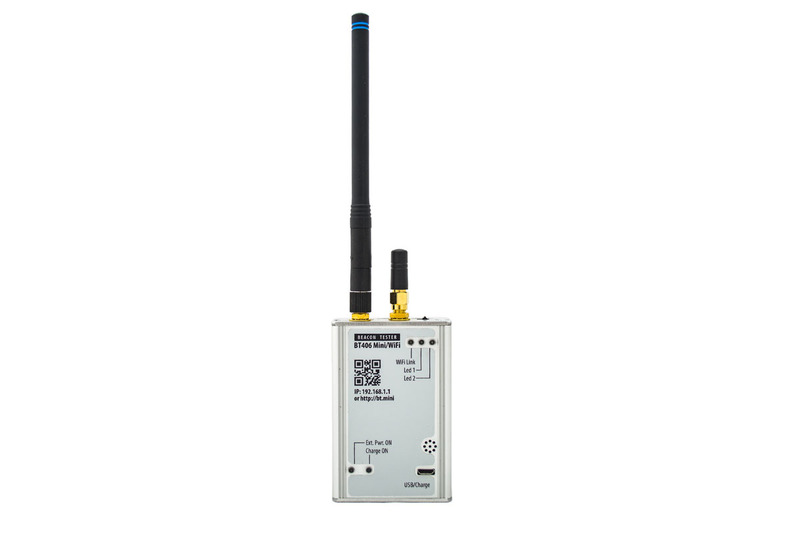 The 406 Tester Mini effectively provides demodulation and complete decoding of Cospas-Sarsat messages. Test results will be displayed on your mobile phone, tablet, laptop or PC. All tests will be stored in internal memory for future use. The device comes with vast internal memory where one can save up to 500 results of measurements. The EPIRB tester Mini provides all necessary measurements on frequency of 406MHz and homing signal frequency 121.5MHz. The EPIRB tester Mini w/ Wi-Fi is the most comfortable and reliable solution for out-of-office testing of any type of distress radio beacon. - estimation of the equivalent radiated power of 406MHz signal through broadcast. Tester is designed to operate with any mobile devices, such as smartphones - Apple IOS or Android, laptops, tablets or PC. You don't need to install any special program on your mobile device, all you need is web browser and WI-FI support. Brochure (version: 1; 29.02.2016; 0.16 Mb) Brochure with specification and technical data for Beacon Tester Mini. 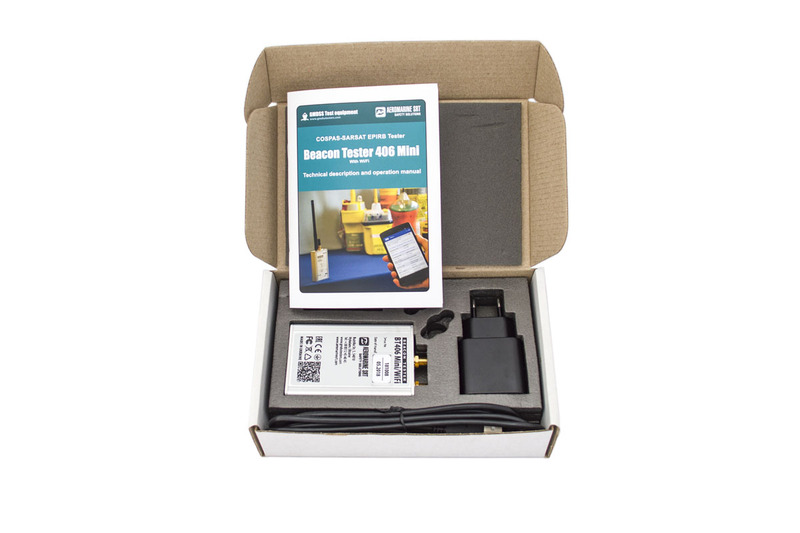 User manual (version: 1.4; 03.03.2016; 1.39 Mb) User manual for Beacon Tester Mini Note: Limited access. Login for downloading the item. 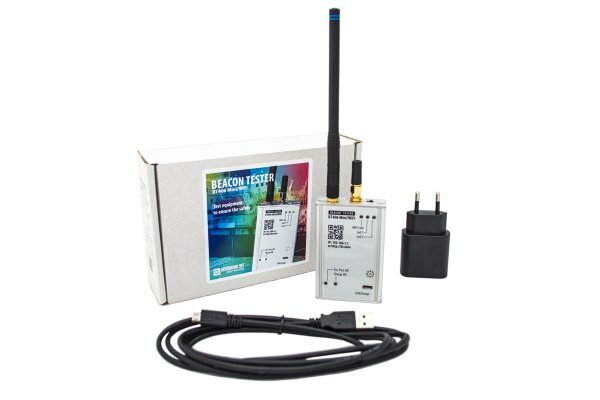 BEACON Tester Mini w/ W-Fi is the newest elaborated device appointed to check the maritime distress beacons (EPIRBs, PLBs) operating via COSPAS-SARSAT system. 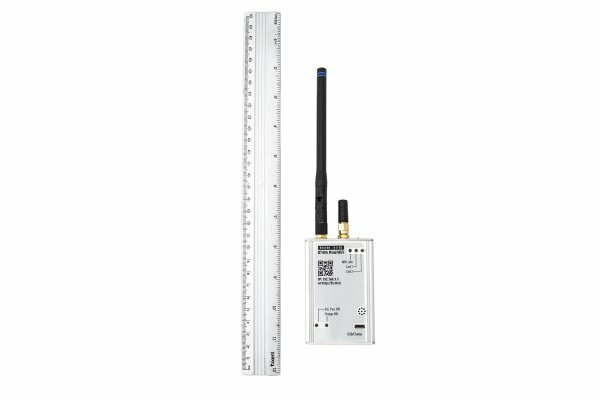 The outstanding features of device are a really light weight and a possibility to operate via Wi-Fi connection with any smart phone, tablet, PC or laptop. We supply the testers with very friendly software. 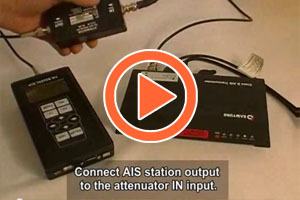 The test instruments are shipped for free of charge to any location globally. Receive your order within 5 working days! Here you purchase from manufacturer directly. Therefore we can offer you the best prices and risk reducers. We provide global two years warranty against manufacture and firmware faults. We assure continuous customer support, tech team is always to help and can be easily contacted.